Bye, bye, baby, baby, bye. My little baby, baby, bye. This simple lullaby uses the tetratonic scale (a subset of the pentatonic scale). The arrangement is built on a gentle, rising ostinato heard in the cellos and second violins. 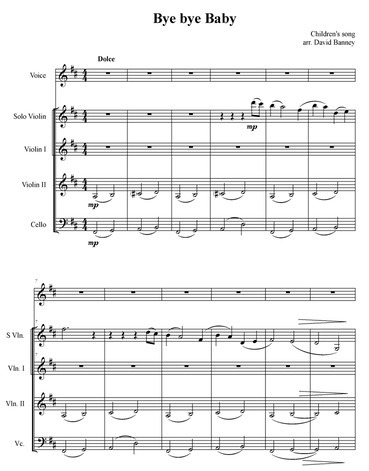 The arrangement features a violin solo, and in the second time through the melody the orchestral violins play very soft, high notes called harmonics.